Fairyland has figured heavily in my pleasure reading for almost as long as I’ve been reading. First, because it is and was a staple of English-language fantasy (a favorite), and secondly because it was the sort of thing I didn’t have to hide from my mother (she never really took to fantasy, but fairies were okay because it’s classic myth!). But complicated feelings about fantasy aside, I read some really fabulous fairy stories as a young one, and I know kid me would have loved Mairghread Scott and Robin Robinson’s The City on the Other Side. 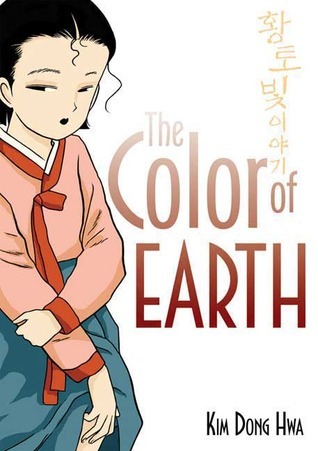 Isabel is a young girl growing up in post-1906 earthquake San Francisco. She lives a sheltered and privileged life, though not necessarily a happy one. She’s admonished not to be a bother, to be silent, and to stay clean. Meanwhile, she’s shuttled between two distracted and/or absent parents. So of course, she ends up in the middle of a fairy war! One of the strong points in this story is Isabel’s development. 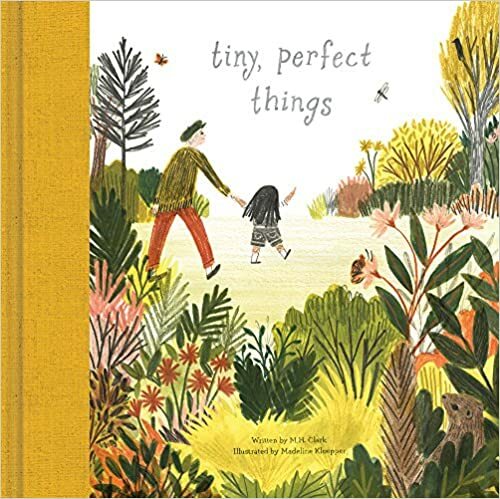 Isabel finds purpose and lives through more action in the course of her adventures in fairyland than she has seen in her whole life, and it changes her. She develops her voice, decides who to trust, comes up with plans (even if they’re bad ones), and speaks up to those she loves. In the end she finds a way to live in both worlds. Another great element of the story is the art. The art in a graphic novel tells just as much (if not more!) of the story as the words on the page, and this book has PHENOMENAL art. Robin Robinson has illustrated fairy creatures of all stripes and looks and mythological traditions. The fairy that can travel through walls and the ground? Super cool! Fairyland also has a direct counterpart in the real world, and the parts where they are overlaid with each other or set side-by-side are wonderful. On the list of weaker story elements, I’d put the character development of Isabel’s parents and the set-up for and consequences of the fairy war (we see lots of broken down buildings, etc., but the true reason for the war wasn’t revealed until too late in the story). I would also have liked to see more historical elements (rather than just dress), since the story is set quite far in the past. 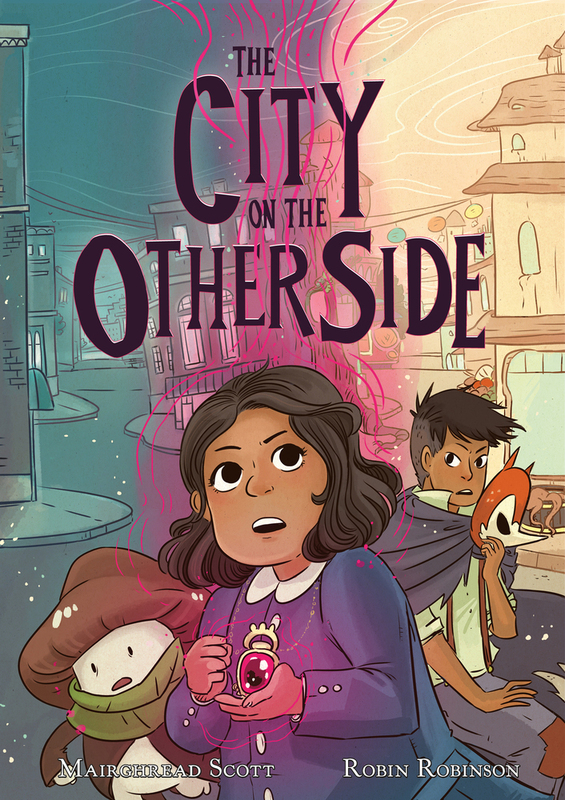 In all, The City on the Other Side is an enjoyable, beautifully-illustrated middle grade graphic novel featuring protagonists of color, a fairy war, and a race to save the world(s). 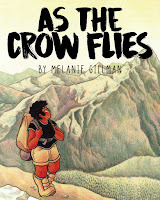 Recommended for: fans of graphic novels and fairy art, and readers ages 8 and up who are looking for a quick, fun read.